For those of you living in North America, great news – the third Splatfest has finally been confirmed! 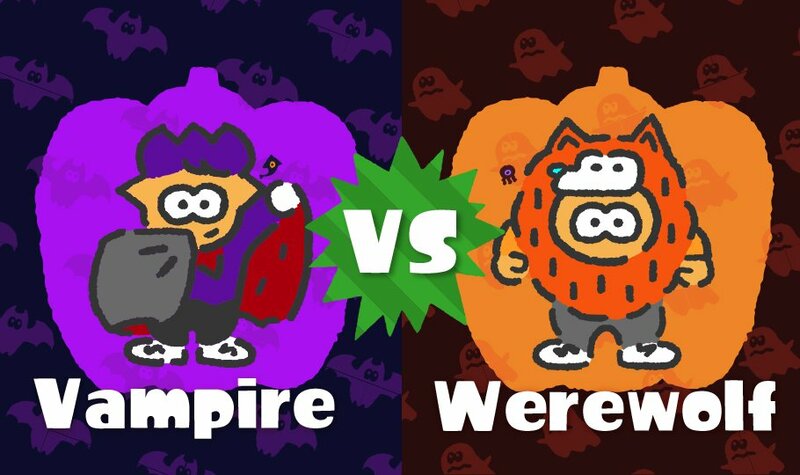 In the third Splatfest, you’ll have to decide to side with either Team Vampire or Team Werewolf. The Splatfest will begin on October 13, 2017 at 9pm Pacific Time. Which team are you going to side with? Let us know in the comments below.